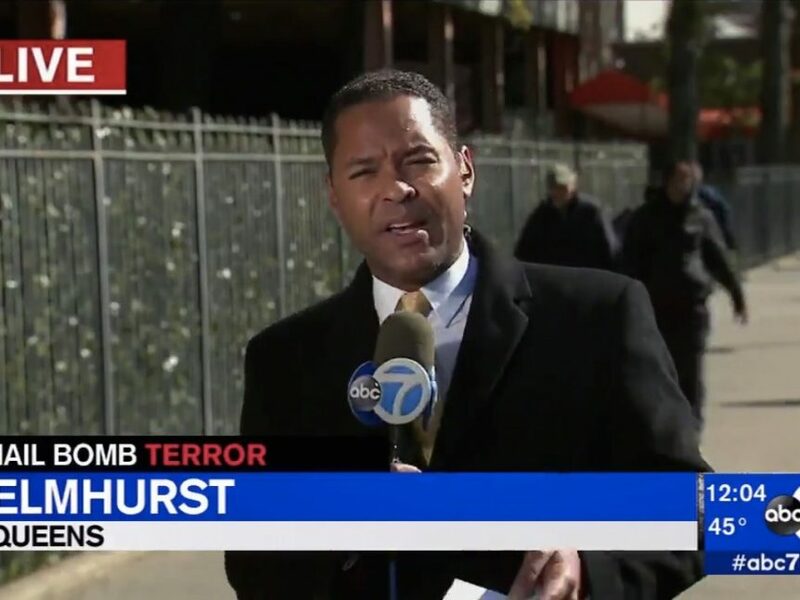 WABC reporter Rob Nelson had an uncomfortable encounter Thursday with a woman who yelled “fake news” to his face while he covered the bomb threats in New York City. Nelson was live in Queens at noon, when he says the woman looked him straight in the eye while he was getting ready for his hit. “Even after everything we saw, prominent people being targeted, CNN being targeted, the woman walked right by me and my live shot, looked me right in the face and said ‘fake news.’ That, is where we are now as a country,” he said somberly. WABC posted Nelson’s live shot on Twitter. The video has received hundreds of comments and retweets from civilians and journalists in support of his reaction.